French Lick, IN – One of the country’s premier historic golf destinations, French Lick Resort, nestled among the Hoosier National Forest in southern Indiana, has been a place that legends, champions, and golf aficionados have been experiencing since the early 20th century. 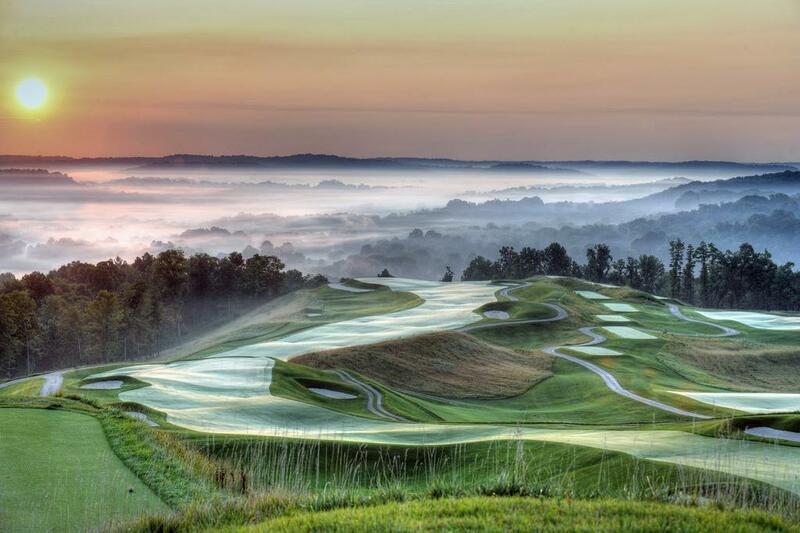 Regarded as one of the Best Golf Resorts in the America’s by Golf Digest, serious golfers nationwide seeking a buddy trip golf adventure and experience the only golf destination in the world that features a combination of hall of fame designers Donald Ross and Pete Dye together with two historic hotels should consider French Lick Resort. Golfers can now book 2019 golf packages including its popular mainstays like the Hall of Fame and Donald Ross Experience packages. Whether it’s a buddy trip, couples retreat, girls-getaway, or improving your game, you will find a package to suit your needs. The resort’s most popular golf package and the best way to experience this award-winning golf destination includes playing the resort’s two legendary courses designed by Hall of Fame architects – Pete Dye and Donald Ross. Each are ranked among the Top 100 in America’s Greatest Public Courses and are currently ranked as the No. 1 and 2 Courses You Can Play in Indiana. The package includes a one-night stay at either resort hotel, a day of unlimited golf on The Pete Dye Course, a day of unlimited golf at The Donald Ross Course, unlimited use of the driving range and practice facility, bag storage, and shuttle service. Package prices start at $559 at French Lick Springs Hotel, and $589 at West Baden Springs Hotel based on double occupancy. With over 100 years of history, The Donald Ross Course at French Lick offers the chance to experience golf the way it was meant to be played. Experience old-school links golf on a classic Ross course situated in the rolling hills of the countryside. This package includes two days of golf on The Donald Ross Course plus overnight accommodations at either resort hotel. Package price starts at $334 at French Lick Springs Hotel, and $354 at West Baden Springs Hotel based on double occupancy. Golfers can also experience the ultimate sampler for golf aficionados. The Double and Triple Play golf packages combine playing the Ross and Dye courses with the nearby Sultan’s Run Golf Club, another Top 10 course in Indiana. Package pricing starts at $289 for the Double Play, and $719 for the Triple Play. Golfers who need to sharpen their game should take advantage of French Lick Resort’s “Game Changer” Golf Academy, which can give a boost to golfers of all skill levels. The three-day golf school experience covers all aspects of the full-swing and short game and includes three nights lodging at either resort hotel. The lesson includes video swing analysis, on-course sessions, and unlimited golf at The Donald Ross Course at French Lick and The Valley Links Course. Package pricing starts at $1,009. Golfers looking for the quick fix whether it is short game, putting, or iron shots, the Rapid Recovery Golf Academy can get you back on track. This includes four hours of intensive instruction and unlimited golf on the Ross and Valley Links course. Package price starts at $514. Custom packages can be built especially for groups of eight or more by contacting French Lick Golf Group Sales Manager, Alex Whiteman. Alex is a PGA Professional dedicated to creating the best golf experience available. To view additional golf package options, visit http://www.frenchlick.com/golf/packages or call our reservation specialists at (888) 936-9360. French Lick Resort is a Midwest travel destination that includes West Baden Springs Hotel, French Lick Springs Hotel and the French Lick Casino. Restored to its historic glory after a $560 million renovation, this resort in the rolling hills of Southern Indiana features 686 guest rooms and suites; a 51,000-square-foot casino; meeting and event space totaling 163,000 square feet; 45 holes of golf, including two of the state’s top-rated public courses in The Pete Dye Course at French Lick and The Donald Ross Course at French Lick; two full-service spas with a combined 36 treatment rooms; and an array of fine dining and family-friendly entertainment and recreation options. Visit www.frenchlick.com. 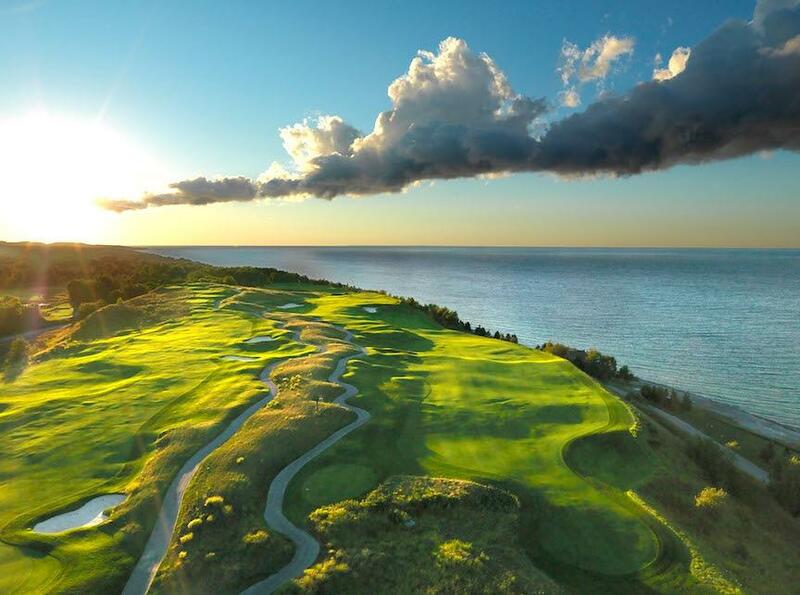 Petoskey, MI – If quality and quantity of great golf help define a premier golf experience, then make sure to visit one of the leading golf destinations providing those elements, Boyne Resorts in northern Michigan, America’s Summer Golf Capital. Boyne Highlands offers up the National Golf Course of the Year by the National Golf Course Owners Association (NGCOA), The Heather, designed by Hall of Fam designer Robert Trent Jones Sr., as well as the Donald Ross Memorial, Arthur Hills and the Moor courses. Boyne Mountain features the Mountain and Alpine courses. Crooked Tree Golf Club near Bay Harbor is also a scenic option. Golfers also have the option to custom-build the package. They can select which golf courses to play, including Boyne’s flagship property, Bay Harbor Golf Club. Choose from a variety of dining options (Boyne Country Club, Bay Harbor Golf Club or Young American’s Dinner Theatre), as well as obtain Odawa Casino gaming vouchers, merchandise packages, spa treatments, custom club fitting, and instruction. It all can be built into a one week Great Escape. For more information about Boyne’s Great Escape visit http://www.boyne.com/golf/great-escape-golf-vacation, email info@BOYNE.com, or call (844) 634-5315 to book today! Boyne Resorts has been named among the Best Golf Resorts in the America’s by Golf Digest and one of North America’s “Premier Resorts” (Gold) by GOLF Magazine. The Inn at Bay HarborandBay Harbor Golf Club, Boyne’s flagship properties, feature 27 holes with three golf course combinations designed by Arthur Hills (Links/Quarry, Quarry/Preserve, and Preserve/Links), and one of the most beautiful and iconic hotels in America, all set along a scenic five-mile stretch of Lake Michigan shoreline. Beyond golf, Boyne is centered amid one of America’s most beautiful vacation spots. The scenic Lake Michigan beach towns of Charlevoix, Harbor Springs, and Petoskey are minutes away, and a side trip to Mackinac Island is easily managed. Guests can enjoy award-winning spas, waterfront dining, sandy beaches, watersports, gaming, microbreweries, wineries, hiking, biking, tennis, zip-lining, shopping and more capped by the spectacular northern Michigan sunsets. For more information, visit BOYNEGolf.com. (BOERNE, Texas) – Cordillera Ranch – the Hill Country’s premier luxury golf community – is nearing completion of its Golf Performance Center at Cordillera Ranch and poised to become one of the top instruction facilities in the state. Designed by renowned architect Jim Terrian, the Golf Performance Center at Cordillera Ranch will feature two bays on the west end of the club’s Practice Park. Each bay – sophisticatedly constructed by industry leader Tim Cutshall – will have a Flightscope Launch Monitor, which provides an innovative combination of 3D Doppler Tracking and image processing. Cutshall, who was recently featured in LINKS Magazine, installed the radar so that it integrates with camera and video data, and provides instructors and students launch characteristics of each shot. Each bay will also have a three-camera system integrated with the Flightscope Launch Monitor to provide instant feedback on every shot and help instructors develop a custom plan for improvement. Flightscope technology will also improve the Cordillera Ranch instruction staff’s club fitting capabilities. The Golf Performance Center at Cordillera Ranch is scheduled to open later this spring. In addition, the Golf Performance Center at Cordillera Ranch will be one of the few facilities in Texas to offer the Swing Catalyst 3D Motion Plate. The flagship swing analysis system provides a unique combination of the state-of-the-art pressure plate technology (Balance Plate) and a highly-advanced force plate. This enables instructors to study detailed foot pressure data and center of pressure patterns. The 3D Motion Plate also provides horizontal and vertical force measurements of the amount of torque and ground reaction forces generated during each swing. This data is invaluable information for analysis throughout the golf swing as the ground is the source of power and energy in the swing. The 3D data is perfectly synchronized with high-speed video images and Flightscope Launch Monitor technology. Set on pristine land in the Texas Hill Country, Cordillera Ranch boasts a Jack Nicklaus Signature Golf Course that meanders through valleys and oak-covered terrain. Many holes offer views of the Guadalupe River Valley and feature strategic bunkering, craggy limestone canyons and thought-provoking risk-reward shots. The Dallas Morning News ranked the Cordillera Ranch golf course fourth in its Texas Golf 2018 ranking of the state’s best layouts, and listed the par-3 16th hole among the state’s “Best” and “Most Beautiful” golf holes. Situated 30 minutes northwest of San Antonio, Cordillera Ranch boasts 0.25-acre villas, one- to 10-plus acre estates, including valley-view, golf course and Guadalupe River frontage, as well as hilltop home sites. Cordillera Ranch’s seven on-site, resort-style amenity clubs – Golf, Tennis and Swim, Spa and Athletic, Social, Rod and Gun, Equestrian and River – are all available under one membership. This trailblazing model continues to attract a wide array of buyers from throughout Texas and the United States. The Cordillera Ranch clubhouse was recently named the Most Beautiful Clubhouse in Texas by Architectural Digest. Community honors continue to roll in as well, as Where to Retire Magazine named Cordillera Ranch one of the “50 Best Master-Planned Communities in the U.S.,” and San Antonio Magazine tabbed it one of the best neighborhoods in the area. Considered one of the top addresses in the San Antonio area, Cordillera Ranch continues to grow at an impressive pace – with nearly 800 homes completed (and more than 1,200 lot sales) in the community. At final build-out, Cordillera Ranch will total approximately 2,500 homes and preserve 80% of the land in its natural state. The year 2018 was an exciting and successful one for Cordillera Ranch. The Vista Office and Visitor Center, housing the offices of Cordillera Ranch Realty, DH Investment Company, Pasadera Builders and the Cordillera Ranch POA administration, recently opened. Additionally, the community is constructing the Lodges at Cordillera Ranch, boutique onsite accommodations for property owners and club members’ guests. The first phase of Lodges will include two units with a total of 10 available rooms and are scheduled for completion by Q2 2019. For more information: www.cordilleraranch.com, 888.66.RANCH. Cordillera Ranch is an 8,700-acre master-planned residential community located north of San Antonio in the Texas Hill Country. It offers residents on-site recreational activities and boasts 0.25-acre villas, one- to 10-plus acre estates, including valley view, golf course, Guadalupe River frontage and hilltop home sites. Residents of the gated community can join The Clubs of Cordillera Ranch, featuring seven resort-style clubs in one location – The Golf Club, The Social Club, The Tennis and Swim Club, The Equestrian Club, The Rod and Gun Club, The Spa and Athletic Club and The River Club. Cordillera Ranch is undertaken by Cordillera Ranch Development Corp., a subsidiary of Texas-based DH Investment Company. For families with school-aged kids, the community is situated in the prestigious Boerne Independent School District. Newsweek recently ranked both Boerne ISD high schools among the top 3 percent in the country. Also, an education analysis group listed five Boerne ISD elementary schools among the eight best in the San Antonio area, including the top four spots. And then there’s San Antonio – recently ranked 10th in the Milken Institute’s “Best Performing Cities” list, which evaluates small and large cities by tracking job growth, wage and salary growth, and the size and concentration of high tech industry. Also, the U.S. Census Bureau recently tabbed Boerne as one of the fastest-growing areas in the country. Kissimmee, Fla. — With a star-studded golf course lineup and an idyllic host destination, the first annual Kissimmee Family Golf Classic will be played June 20-23, 2019. The 54-hole, team scramble event is open to any combination of family members and will be a celebration of the bonds the game helps create. Cost of entry is $799 for a team of four. 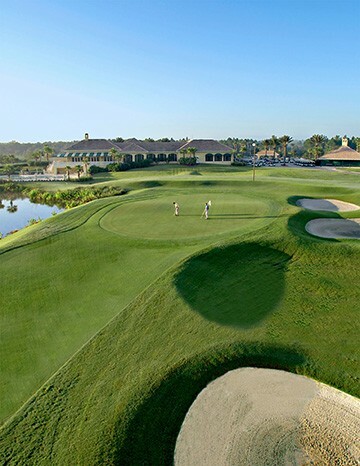 Tournament rounds will be played at the Nicklaus and Watson courses at Reunion Resort, one of Florida’s premier golf facilities, and Celebration Golf Club, an unforgettable co-design of industry legends, Robert Trent Jones Jr. and Sr. Entry also includes a VIP welcome gift package, breakfast and lunch each day at the tournament, and on-course contests. June 21: Nicklaus Course at Reunion Resort, 8:30 a.m.
June 22: Watson Course at Reunion Resort, 8:30 a.m.
June 23: Celebration Golf Club, 8:30 a.m. Closing Ceremonies/Farewell Awards Reception, 1:30 p.m.
Reunion Resort features three award-winning golf courses and the brand-new Nicklaus Clubhouse. It is the only place in the world where players can test their skills on signature-designed courses by Arnold Palmer, Jack Nicklaus, and Tom Watson. The Nicklaus and Watson layouts will be hosting the Kissimmee Family Golf Classic, allowing tournament participants to enjoy nationally-acclaimed courses. The Nicklaus Course, featuring a new state-of-the-art clubhouse, is a Parkland-style layout that is smooth and flowing with long horizon lines and elevated tee boxes and greens. It can be as deceptive as it is beautiful. An eight-time major champion, Tom Watson’s layout at Reunion is one of his finest architectural works. The layout, a Top 100 Resort Course, showcases wide fairways and large undulating greens, placing a premium on creativity. Celebration Golf Club has been ranked among the top 25 family golf courses in the U.S. and has drawn rave reviews for both the quality of its design and its commitment to customer service. Among the six sets of tees at Celebration are four between the 5,958 and 6,817 yards, helping ensure an enjoyable challenge for players of all skill levels. Kissimmee is a one-of-a-kind sunny golf and vacation destination, providing easy-access to world-famous theme parks, incredible outdoor adventures, and renowned cuisine. 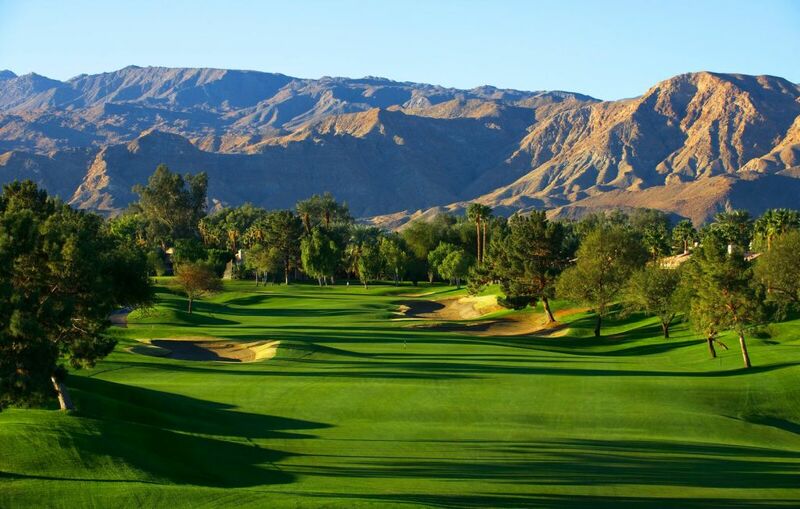 With an average high temperature of 73 degrees, January is an idyllic time for a golf getaway. More information about the Kissimmee Family Golf Classic is available at www.kissimmeefamilygolfclassic.com. Almost 50 years of vacation-making experience. More than 8,000,000 overnight visitors. And closer than a wave-of-a-wand away from world-famous theme parks and attractions, the Headwaters of the Everglades, extraordinary natural wonders, and plates for every palate. We’re Experience Kissimmee, the official tourism authority for Osceola County, Florida. (That means we oversee sales and marketing for the destination.) We’re also the Vacation Home Capital of the World®, with more than 45,000 accommodation options, including luxury resorts, family-friendly hotels, and over 22,000 vacation homes. Tap into the magic. Get inspired at EXPERIENCEKISSIMMEE.COM. If you would rather not receive future communications from Kingfish Communications LLC, let us know by clicking here. 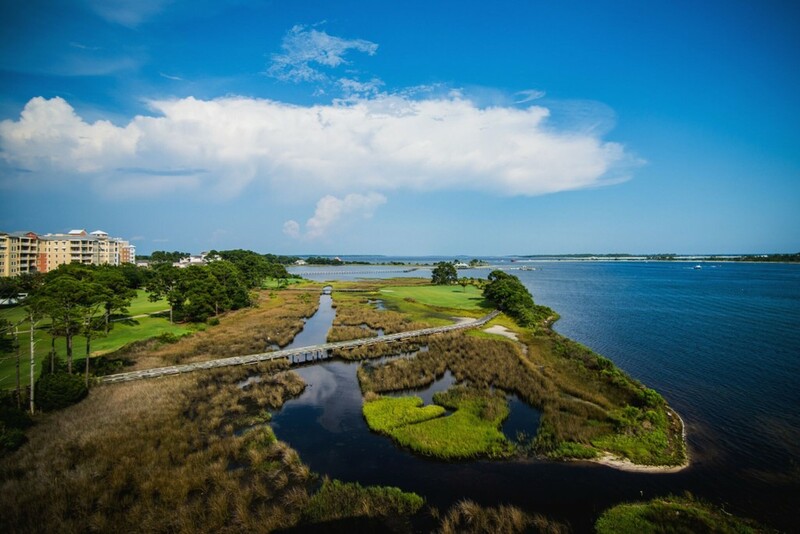 CHERRY GROVE, S.C. — As golfers begin making preparations for their next trip to Myrtle Beach, group leaders are increasingly turning to the Spring Elite package, a deal anchored by Tidewater Golf Club, one of the area’s premier layouts. The rising popularity of the Spring Elite package is based on the strength of its golf course offerings. 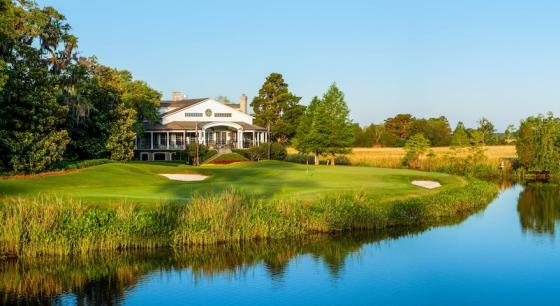 In addition to Tidewater, the Spring Elite features Arrowhead Country Club, Prestwick Country Club, Arcadian Shores and the Jones Course at Sea Trail. With eight holes playing along either Cherry Grove Inlet or the Intracoastal Waterway, Tidewater is the Grand Strand’s most scenic layout. The stunning visuals are highlighted by the third and 12th holes, a pair of stunning par 3s that play along the inlet, and No. 13, a par 5 that offers a distant view of the Atlantic Ocean. 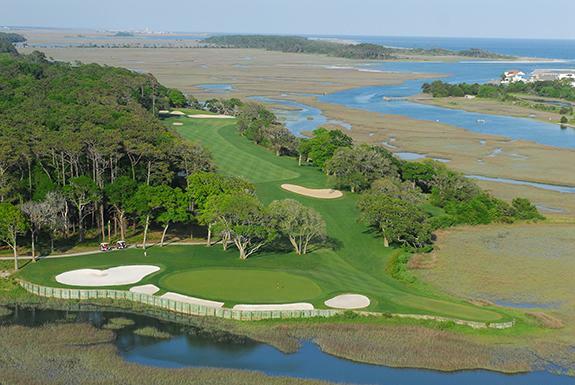 The layout has been ranked among America’s 100 Greatest Public Courses, and Tidewater is a bucket list course in Myrtle Beach and all of South Carolina. While a round at Tidewater may highlight the trip, it’s complemented by a quartet of quality layouts. Prestwick Country Club is among the area’s most underrated courses. The P.B. Dye track provides a stern challenge that leaves players talking long after they return home. 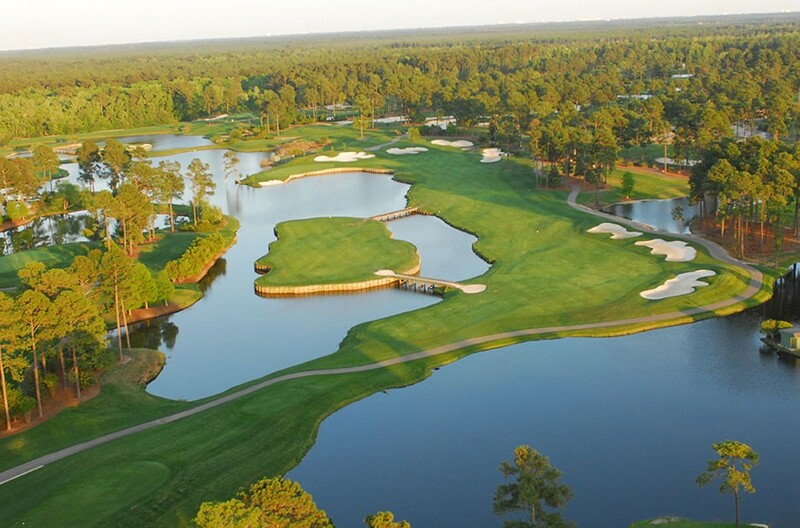 Arrowhead Country Club, a 27-hole facility, is home to multiple holes that play along the Intracoastal Waterway, but the Raymond Floyd course is most known for its superior conditioning. Arrowhead overseeds wall-to-wall during the winter months, ensuring lush, green grass throughout the year. 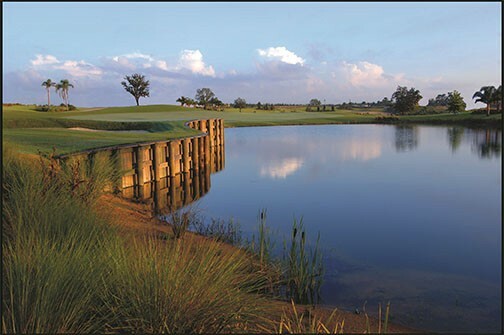 Arcadian Shores is the area’s fastest rising course. Rees Jones’ first design, Arcadian underwent a 2017 renovation that included the installation of new greens, cart paths and the construction of a new clubhouse, among other enhancements. The Jones Course is the premier layout at Sea Trail Golf Resort, a 54-hole facility just across the state line in Brunswick County, N.C.
For more information on the Spring Elite package, go to www.TidewaterGolf.com.